Introducing Johnston100: A contemporary update to Transport for London’s Johnston typeface, marking the centennial of its use across the London bus, rail and Underground systems. WOBURN, Mass.--(BUSINESS WIRE)-- Marking the centennial of Johnston, the London transport network’s iconic typeface, Monotype and Transport for London (TfL) today unveiled the forthcoming release of the newly designed Johnston100 typeface. Remastered by Monotype to bring back the original flavour of the Johnston design developed 100 years ago, Johnston100 expands the palette of the original typeface to embrace both contemporary typographic trends and new digital requirements. Johnston100 includes five weights of the design, including two brand new contemporary weights: hairline and thin, and will start to appearing across the TfL network later this year. Johnston was originally designed by Edward Johnston in 1916 and is instantly recognisable as the graphic language of London. Used across all trains and buses, station signage and wayfinding, Johnston is ingrained in the fabric of the city. 2016 marks the 100th year anniversary of the Johnston typeface. 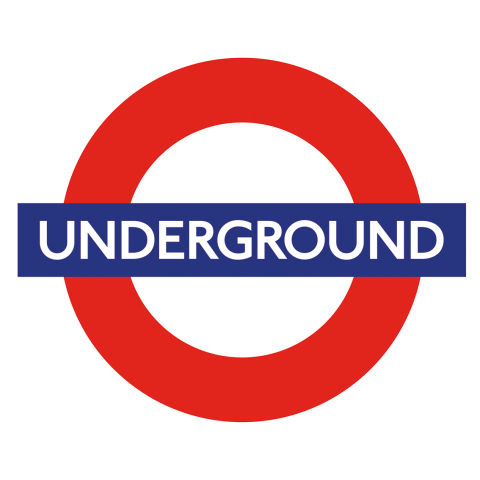 As TfL’s presence has expanded beyond physical locations/uses like train stations and uniforms to digital mediums like apps, signage and social media, the need for a modern spin on the classic typeface became apparent. Monotype expanded the design to allow for better usability across various branding platforms, and has added new weights in order to expand the voice of the typeface. This allows for a more nuanced palette and wider versatility in the design. The announcement of Johnston100 supports TfL’s celebrations to mark the centenary of the iconic Johnston typeface and forms part of TfL’s Transported by Design programme, which showcases the impact of good design on the London transport network. The new Johnston100 family features five weights of the design, including two brand new weights: hairline and thin. These two new weights demonstrate the challenge of trying to strip a typeface of its mass and find its skeleton – both a design and research task. The result, especially the hairline, is enchanting as it harks back to Johnston’s original design but is simultaneously very contemporary in flavour. Monotype Type Director Nadine Chahine and Senior Type Designer Malou Verlomme completed extensive research, exploring archive material and original drawings by Edward Johnston to return to the soul of the typeface. The pair worked to pinpoint key elements, which had been lost over years of the typeface’s evolution, and were necessary to reintroduce for Johnston100. Johnston100 has been widened to provide a more relaxed feeling, calling back to Edward Johnston’s original drawings. Through its evolution, the Johnston typeface became narrower and more mechanical as functionality took precedence over historical design. The new Johnston100 typeface has a feeling of injected geometry, which includes proportional figures, rather than tabular, and its character set has been expanded to include more accented characters and diacritics allowing for use among a wider variety of languages. Johnston100 will be rolled out by TfL from July 2016, initially for printed materials, such as Tube maps and posters. Over time, the typeface will be used within TfL’s trains and station signage including for London’s new Crossrail Elizabeth line – scheduled to open in 2018. Johnston100 can also be seen for the first time on a special edition poster designed by Monotype to celebrate the Johnston centennial. The Monotype poster joins a series of 10 developed in partnership with TfL, with further poster designs from Pentagram, SEA and Alan Kitching. The series will be live across the Underground network from June 10, 2016 for two weeks and limited edition prints can be purchased directly from the London Transport Museum Shop. Monotype is a leading global provider of typefaces, technology and expertise that enable the best user experience and ensure brand integrity. Headquartered in Woburn, Mass., Monotype provides customers worldwide with typeface solutions for a broad range of creative applications and consumer devices. The company’s libraries and e-commerce sites are home to many of the most widely used typefaces – including the Helvetica®, Frutiger® and Univers® families – as well as the next generation of type designs. Further information is available at www.monotype.com. Follow Monotype on Twitter, Instagram and LinkedIn. Source: Monotype Imaging Holdings Inc.